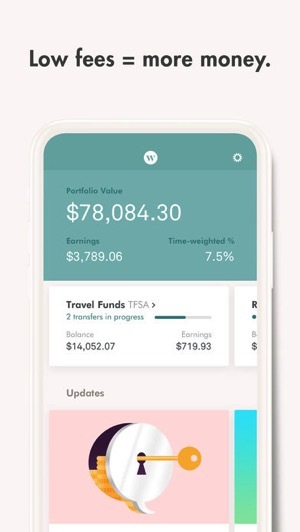 Toronto-based Wealthsimple has launched a new iOS app, featuring a new interface it calls “cleaner, more attractive, simpler and, yes, more intuitive.” Wealthsimple is aimed at younger investors seeking easy, automatic investments in low-fee ETFs (exchange traded funds), which have lower investment fees (Wealthsimple charges 0.5%) compared to traditional mutual funds (fees usually 2-3% or higher) from banks. The app now has a new account overview page, showing you your portfolio value, earnings and performance as before, but now below is a new card view to cycle between your other accounts. The robo advisor has now put its Wealthsimple Magazine front and centre, it now is integrated into a card section titled News and Tips. Wealthsimple says this section will be updated with account alerts, news, updates and more, personalized based on what you’ve liked in the past. Also, the company has built in a “fidget spinner” in the app, as the gold Wealthsimple coin at the bottom of the app spins if you swipe it left or right. 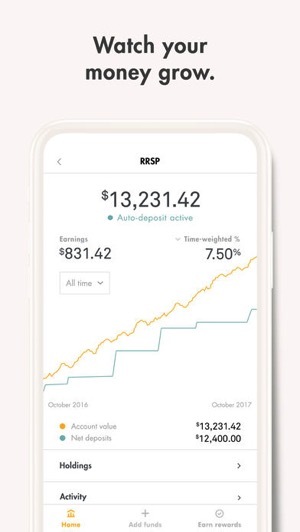 For those considering transferring investments to Wealthsimple, the company will reimburse fees charged by banks if you’re bringing over $5000 or more. 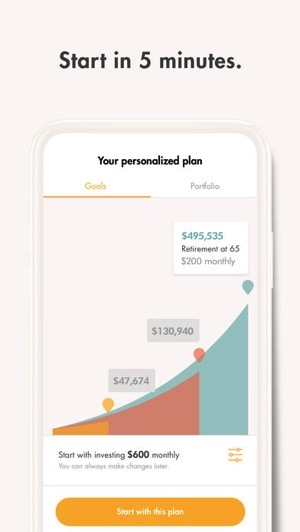 Click here to sign up with Wealthsimple—you’ll get a bonus $10,000 in free managed investments for a year, on top of your first $5,000 managed free. 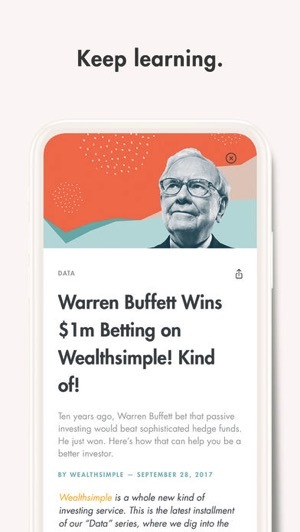 Disclosure: Wealthsimple is an affiliate partner of iPhoneinCanada.ca and this offer allows readers to support the site.